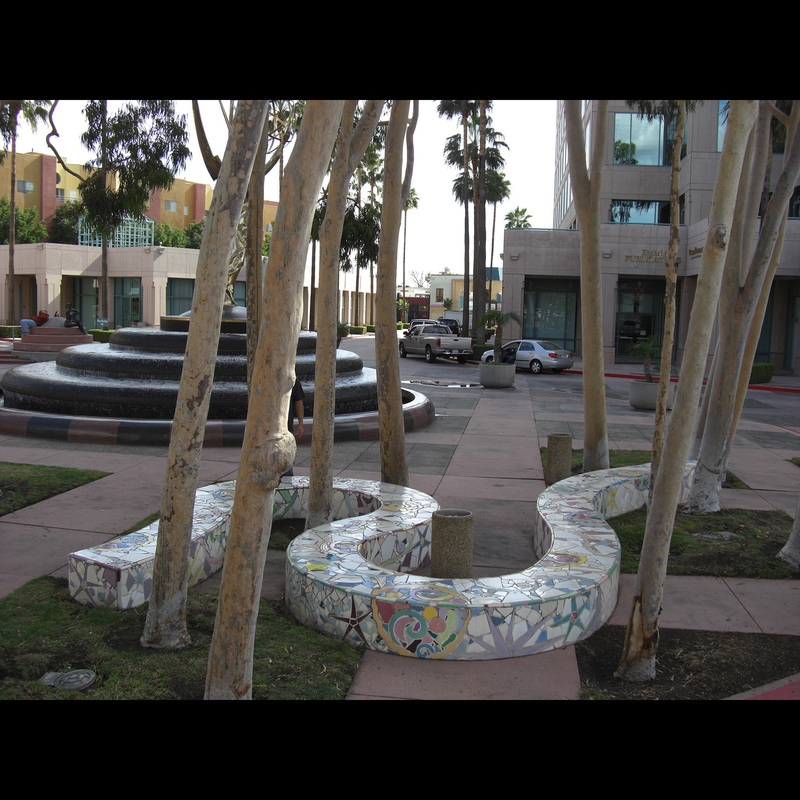 Marlo has been producing and installing permanent ceramic and stone sculpture, mosaics, pictorial murals and functional art for cities, institutions and personal clients since 1977. 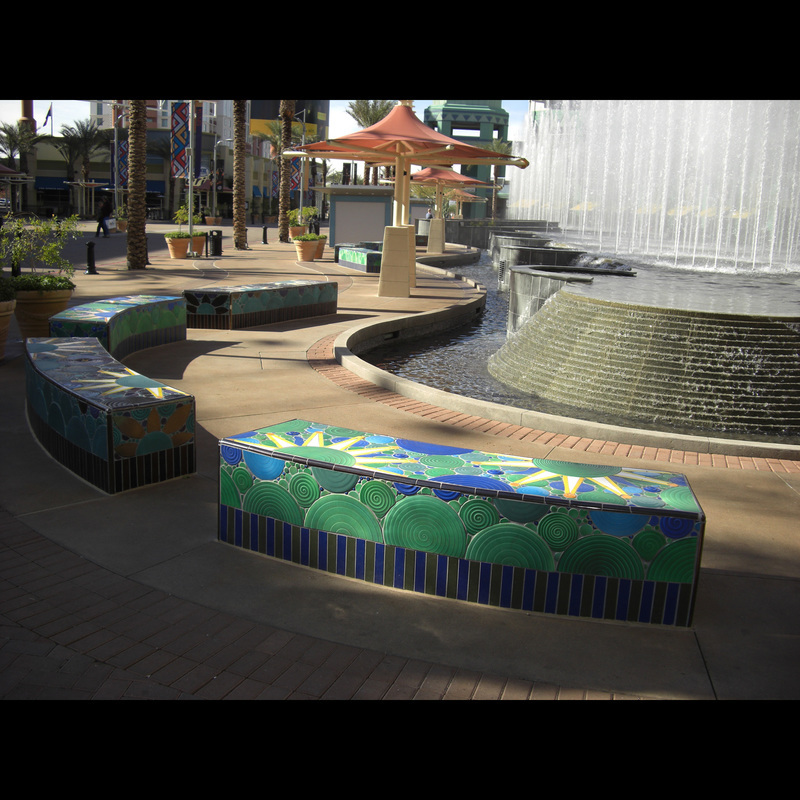 He works with ceramic tile, terrazzo & stone; shaping, forming and glazing the clay elements by hand. With the support of a grant from the National Endowment for the Arts in Washington, D.C., he has developed new techniques for fabricating furniture and sculptures, using tile facings on ferro-cement with polystyrene substrates. 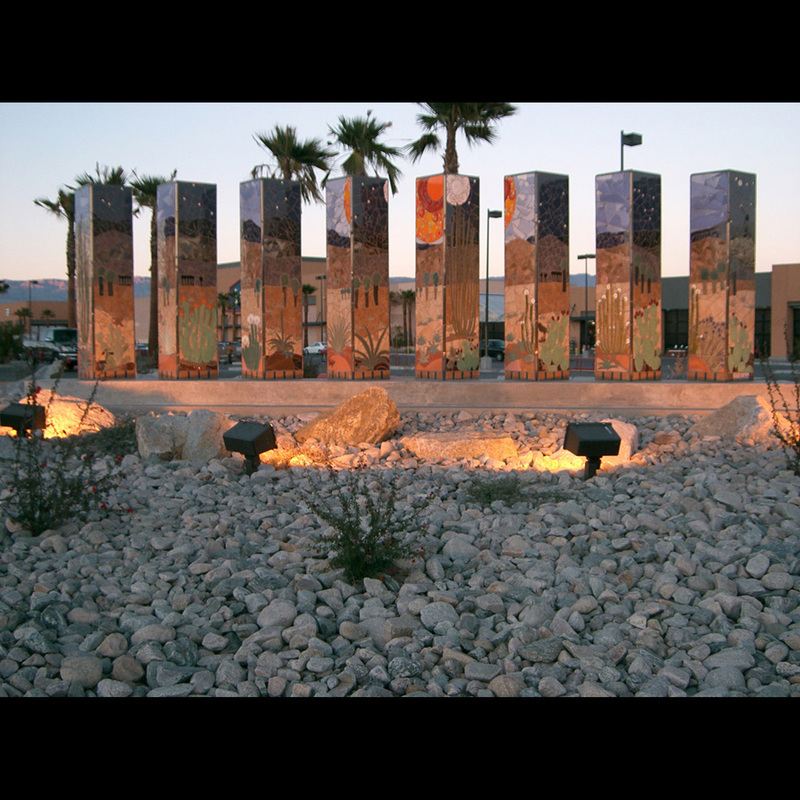 His work includes sculpture, indoor and outdoor walls, fountains, floors and functional art and features durability and low-maintenance. Colors are myriad, non-fading and resistant to graffiti. 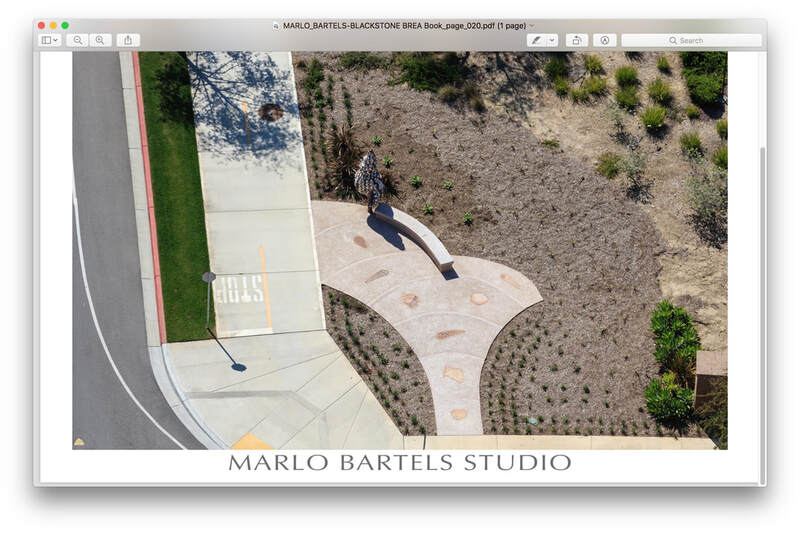 APRIL 18, 2018 – IRVINE, CALIFORNIA – The Orange County arts community will gather on Tuesday, October 16, 2018 in the Samueli Theater, Segerstrom Center for the Arts in Costa Mesa, to honor its arts stars at the 19th AnnualOrange County Arts Awards, hosted by the county’s non-profit arts agency, Arts Orange County. 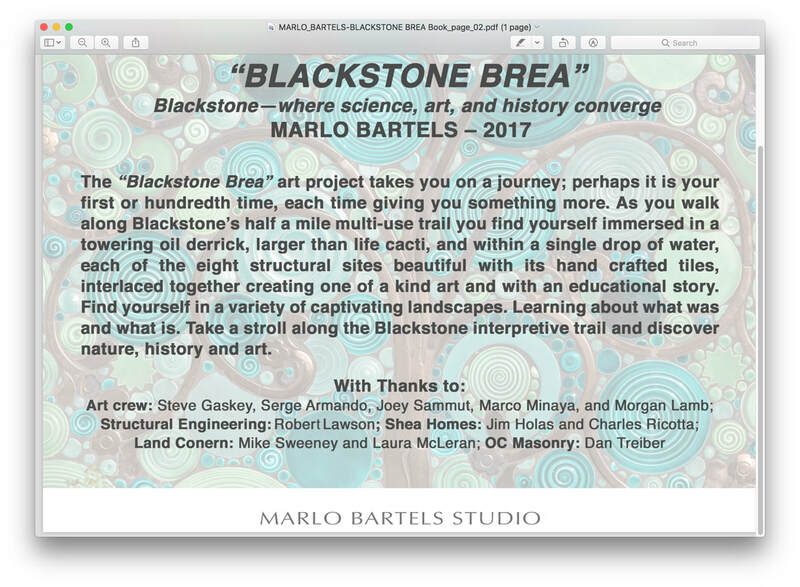 It is rare that an artist gets to consider a large-scale commission such as “Brea, Blackstone 2017”. 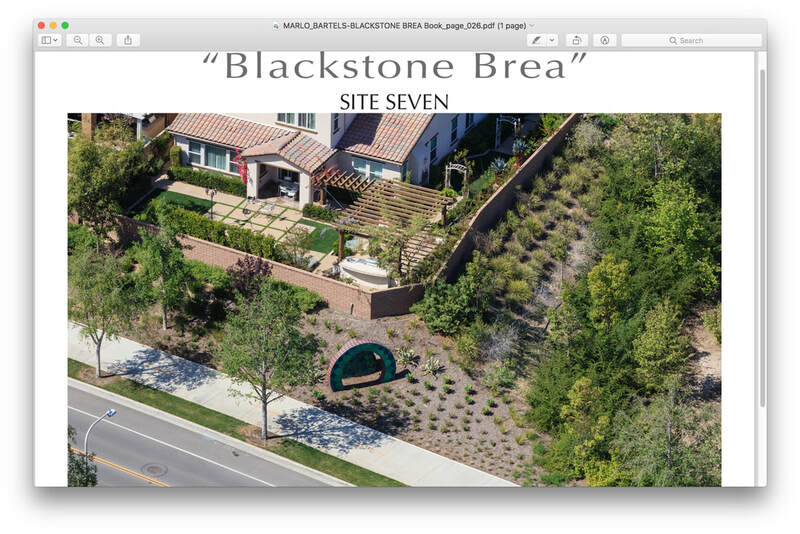 “Brea, Blackstone, 2017,” created by Laguna Beach artist Marlo Bartels for Shea Homes, consists of eight site-specific sculptural installations, spanning a half-mile, that lace a major road traversing a new bedroom community. 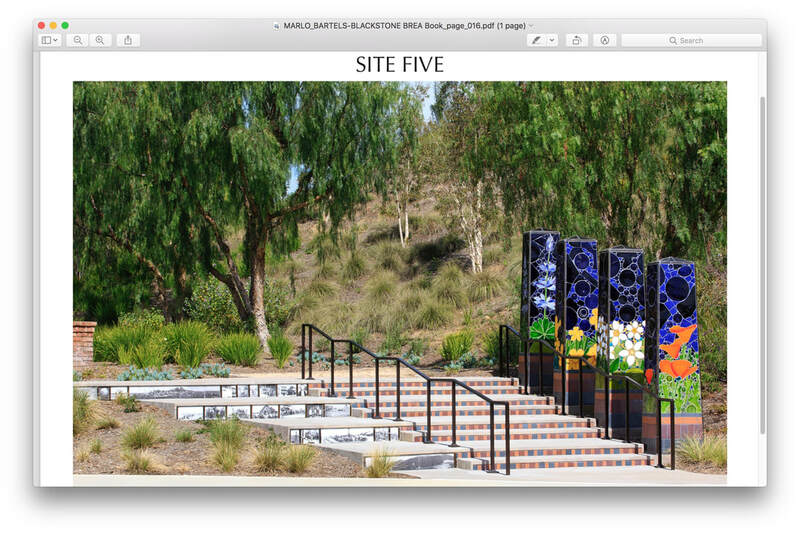 The sites are embedded in a park-like setting with a multiuse trail connecting them. As one climbs Tonner Ridge, the taller installations can be seen rising up in the distance. 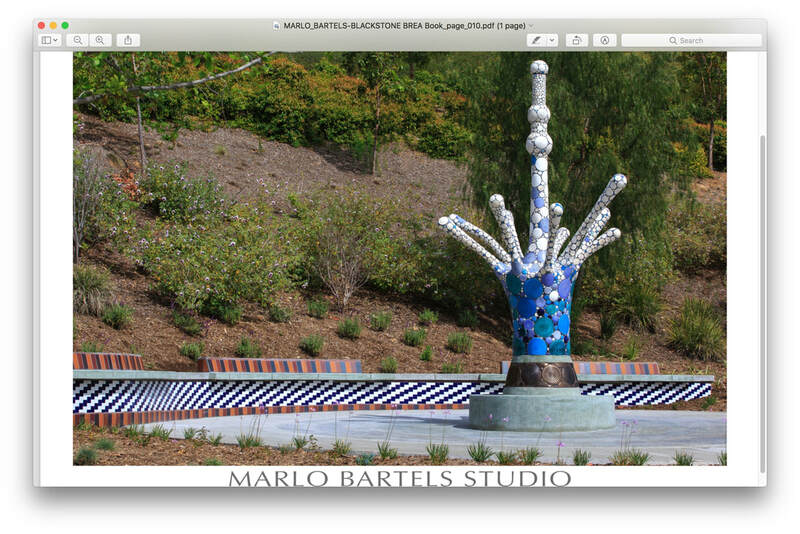 Marlo Bartels’ monumental installations arealso easily seen from the adjacent road. 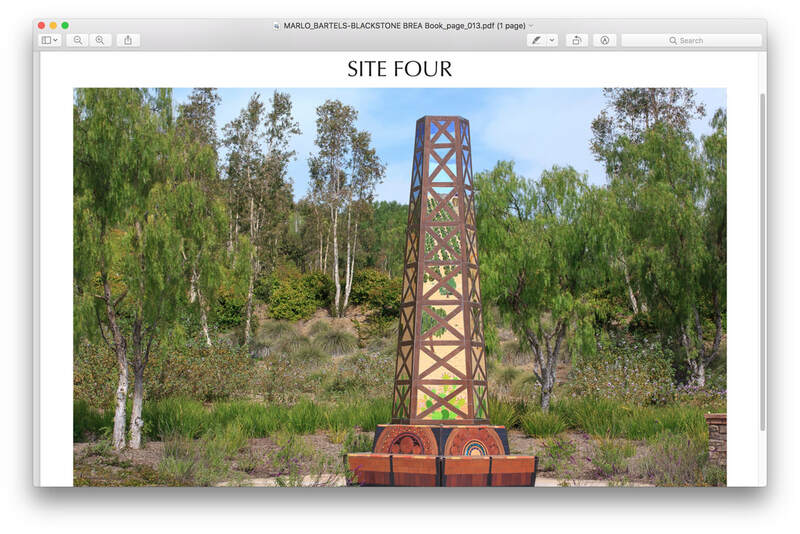 Discovery, exploration, and play fuel the motivation to move from site to site. 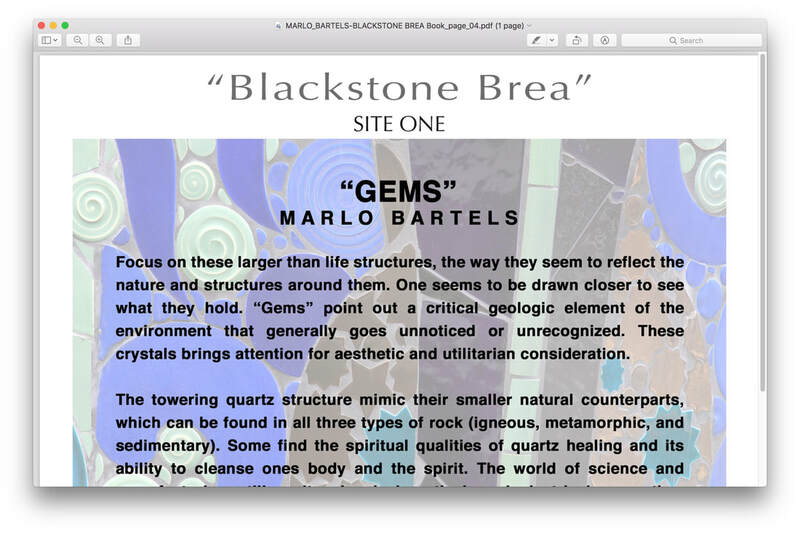 Huge seven-foot prongs of Opuntia cactus, magnified diatoms, giant California king snakes, oil derricks, water drops and crystals, etc., draw on prominent characteristics of the area. 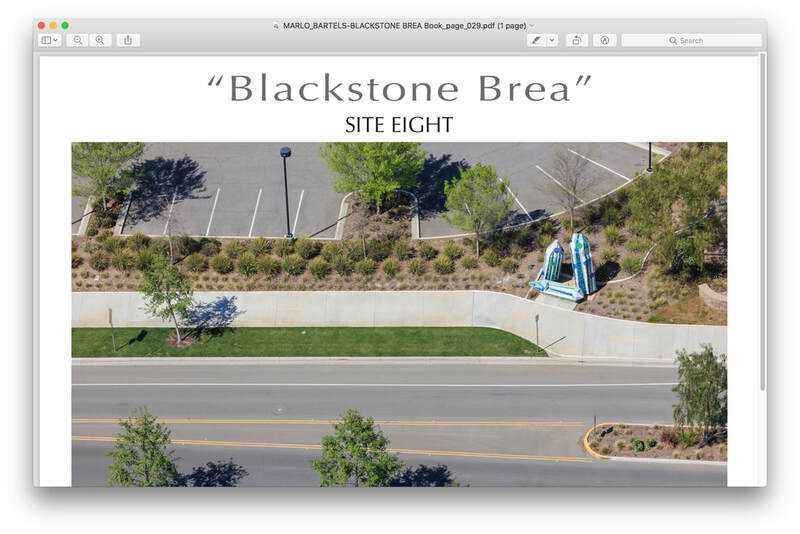 The scale of the sculptural installations at Blackstone shift with each site. Up close, the monumental forms reveal surfaces covered with individual handmade tile bursting with detail, color, and energetic shapes. 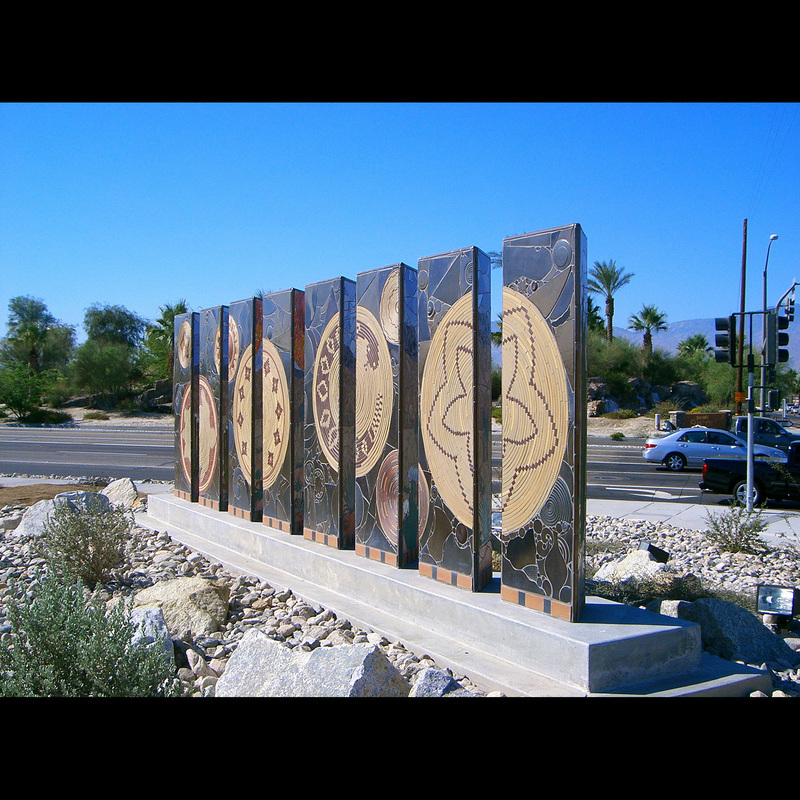 The City of Brea was incorporated on February 23, 1917 as the eighth official city of Orange County, and today has a population of more than 43,000. 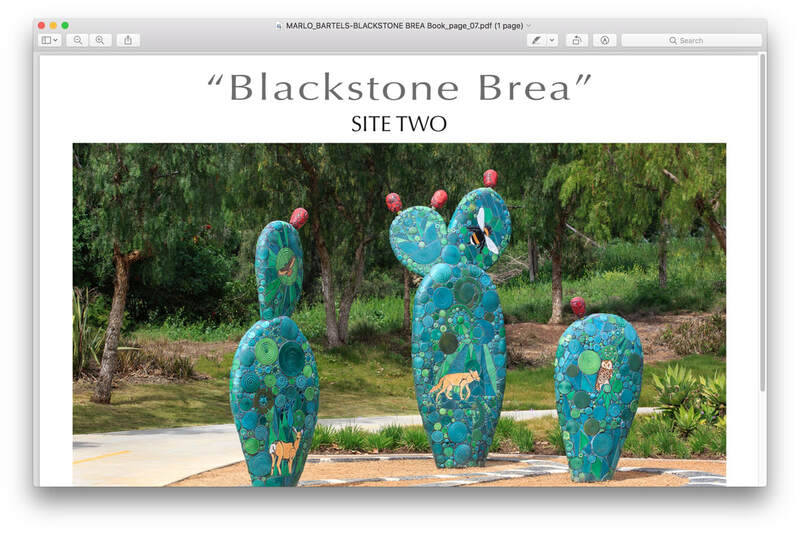 The Brea community takes great pride in its image as a City of Art. 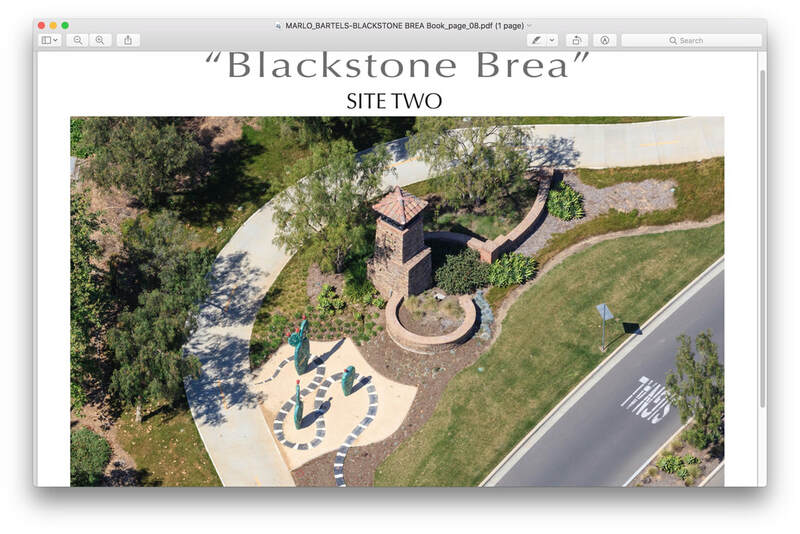 Brea is host to the Curtis Theatre, a performing arts theatre, an Arts in Public Places outdoor sculpture collection, and the nationally-recognized Brea Art Gallery. 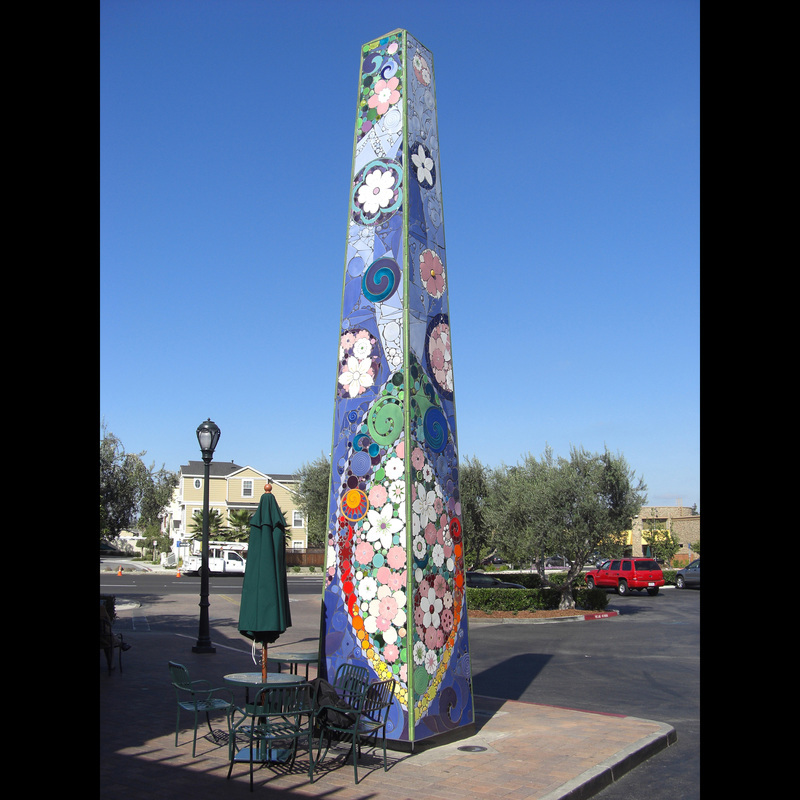 Brea’s Arts in Public Places program is also Orange County’soldest municipal public art program, begun in 1975, and comprises 179 works of art, all in public view throughout the city--more than any other OC city. The program features a wide range of mediums, styles, and approaches by local, national, and internationally renowned artists. The ceramic objects and furniture made by artist Marlo Bartels exude the handmade warmth of an old village where every irregular rock has been placed in perfect unison to create floors and walls smoothed by centuries of human touch. 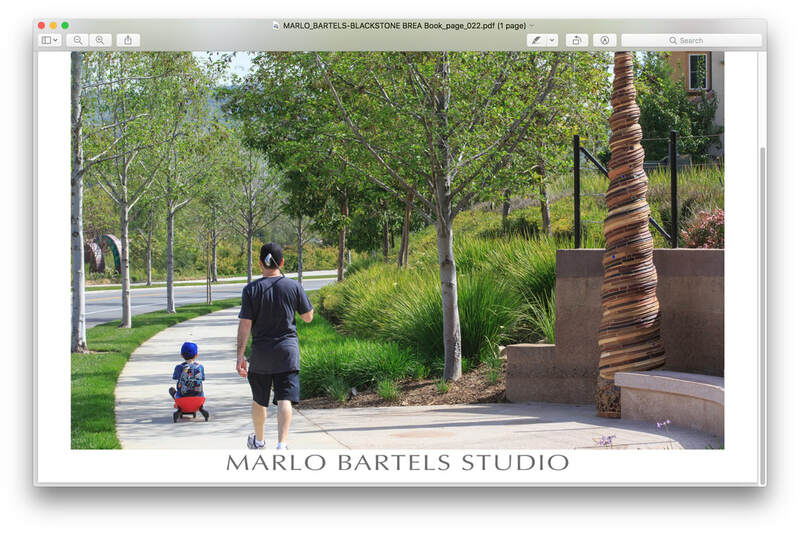 Relaxing, assuring and affirmative, Bartels' objects relate to activities that release the stress and burden of contemporary life in Southern California. 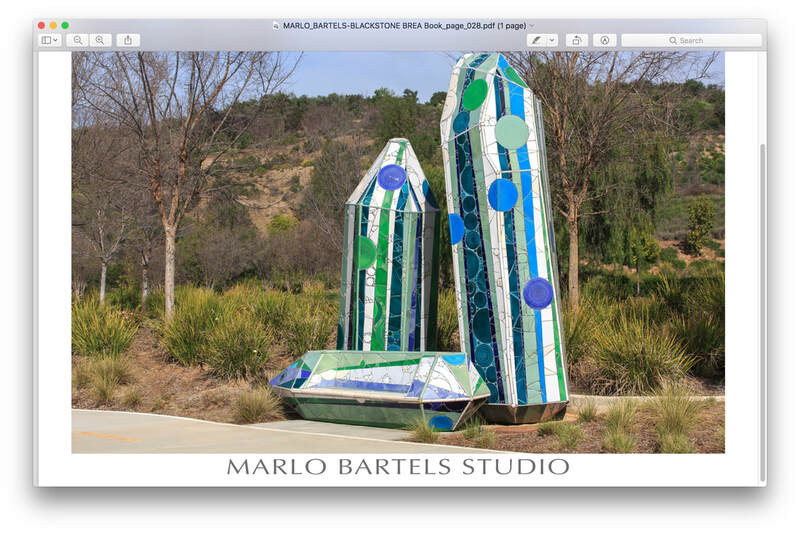 When looked at in terms of contemporary art, what seems problematic about Bartels' work is that it sits easily on the fence between art, and craft or decoration. 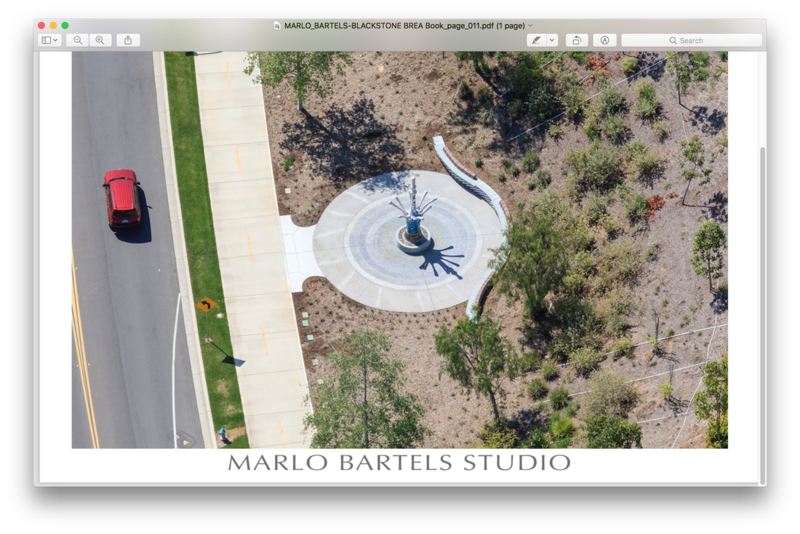 While most contemporary art almost by definition is issue‑oriented, Bartels' work talks about a contentedness or rightness in terms of its place in the world. 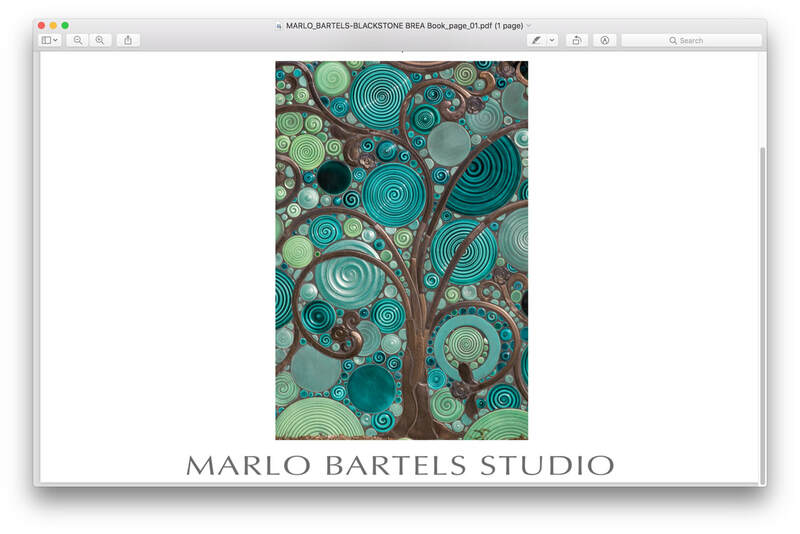 Rather than challenging the viewer, Bartels' work playfully seduces one into literally relaxing in it and with it. 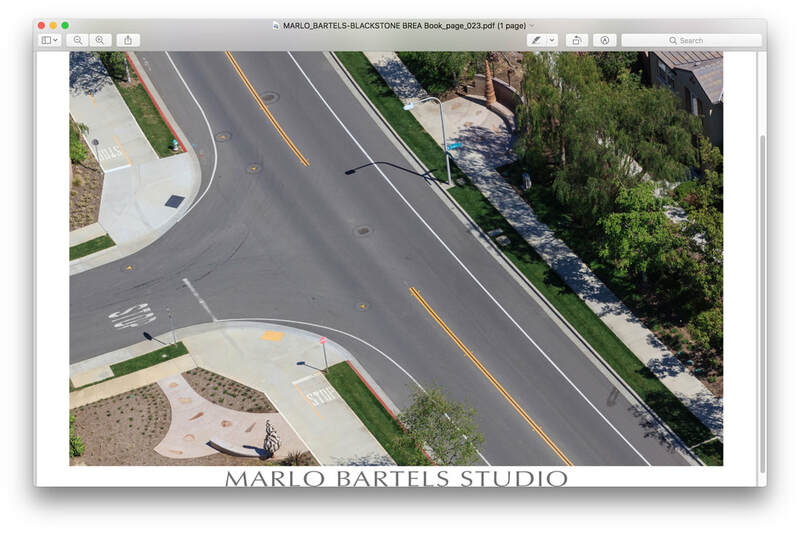 Bartels' subject matter inspires the same effect. Researching the history of the Southern California area, Bartels discovered the picturesque plain‑air landscapes painted of the region at the turn of the century and the sunny disposition of old orange crate labels, both of which unobtrusively referred to a pleasant past. 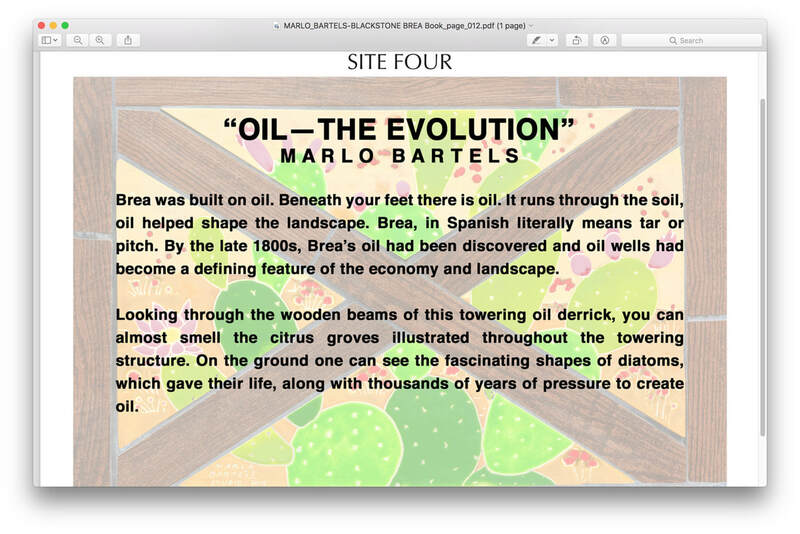 Bartels uses similar motifs to evoke positive thoughts about the region, not to elicit a sentimentality about the passing of an age or as political/environmental statement. Marlo took a semester hiatus from graduate school to go to Spain, where he became entranced with the architect Antonio Gaudi's handiwork. Gaudi's art has all the elements Bartels was interested in: grand scale, playfulness, organicism and a usefulness that is both practical and aesthetic, and that sneaks up and embraces its audience. 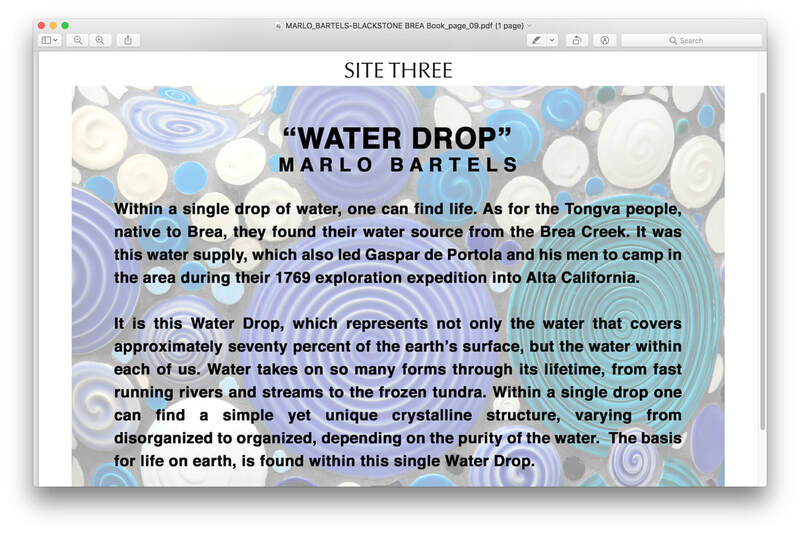 Back in graduate school, Bartels' graduate advisor, Don Lagerberg, introduced him to contemporary art theory and issues. 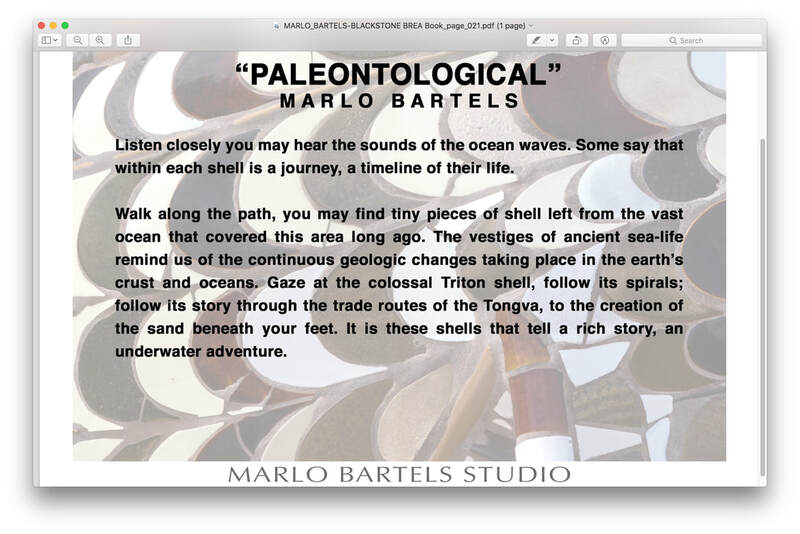 ( Somewhat amused by the cynicism of the art world, and such as1970's movements minimalism and conceptualism, Marlo put together a graduate exhibition consisting of an installation with a game theme. 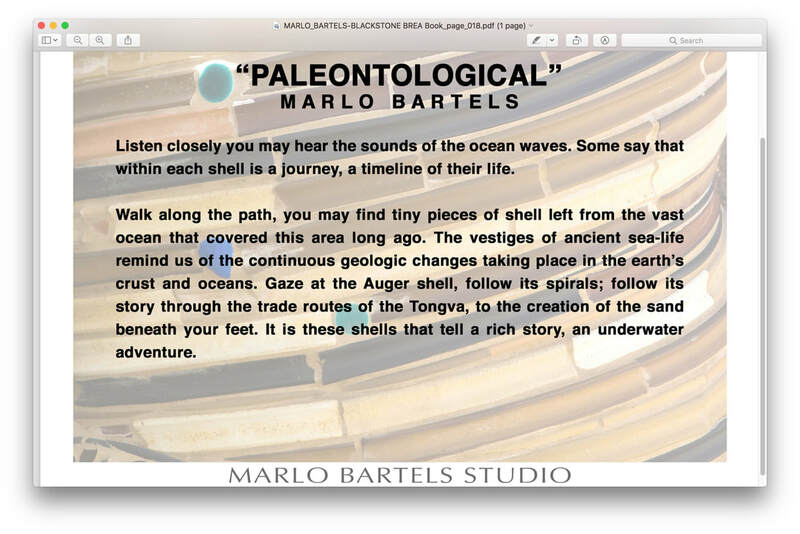 Using the notion of the game as a metaphor for the operations of the contemporary art world, and as a play on Marcel Duchamp's End Game, Bartels set up a larger than lifesized interactive pieces made of ceramlcs, whlch moved the vlewer to physically participate in the piece. Play, the main theme, helped to set in motion a dialogue concerning the artificial boundaries within the art world which dictate style, media, and topic. 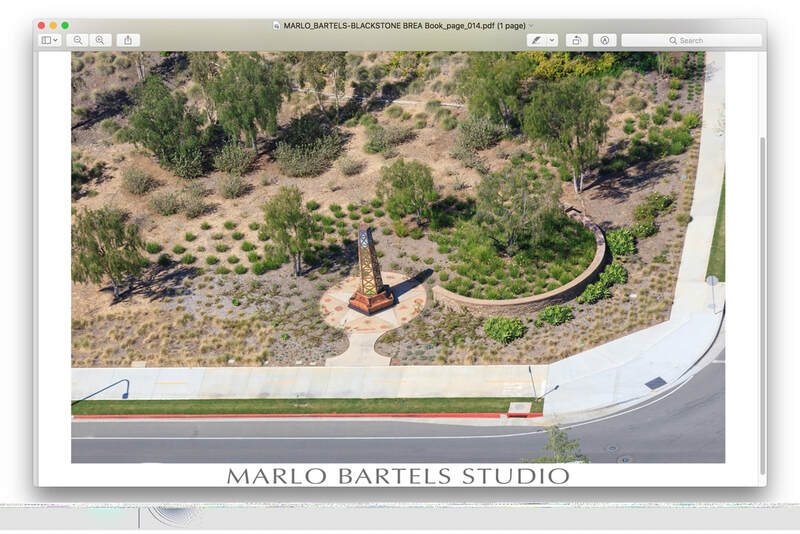 Bartels attempted to breakdown these boundaries and those separating the viewer and object. 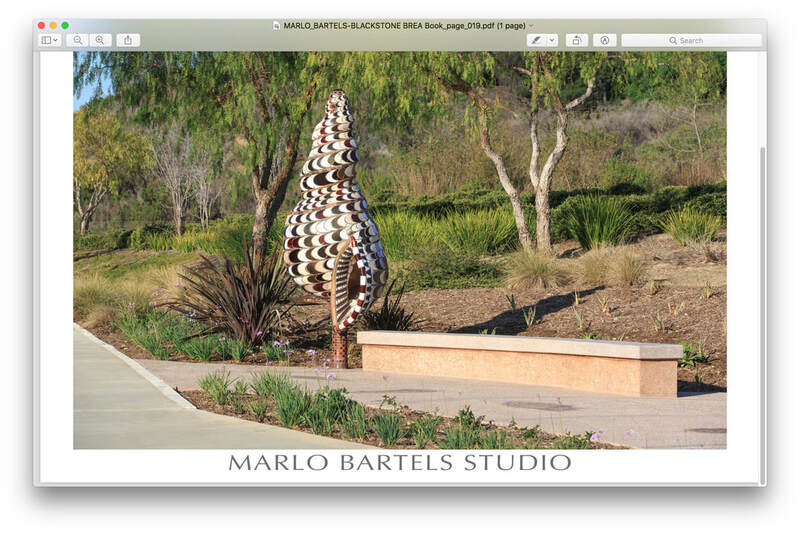 What Bartels also expressed was the possibility for ceramic objects to be both sculptural and functional. 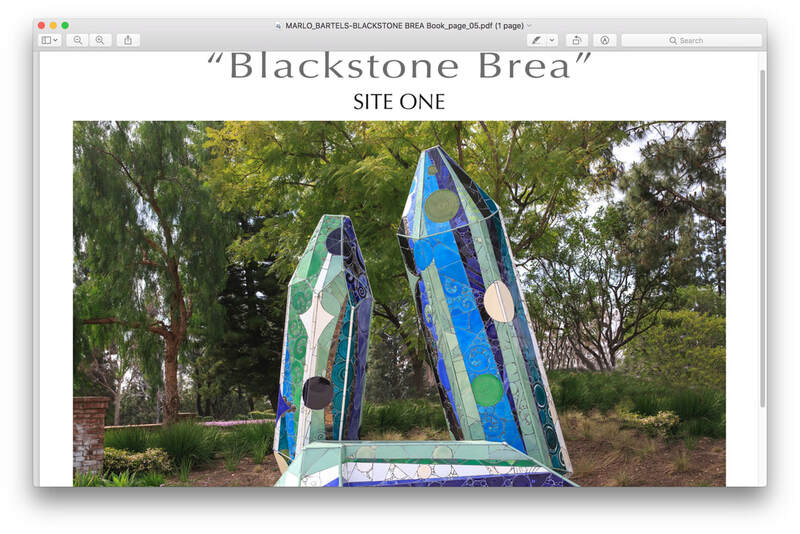 Also while in graduate school, Bartels had met ceramics teacher Jon Stokesbary, a genius of sorts who had trained (in the early sixties with the famed Peter Voulkos at the Otis Art School in Los Angeles.) 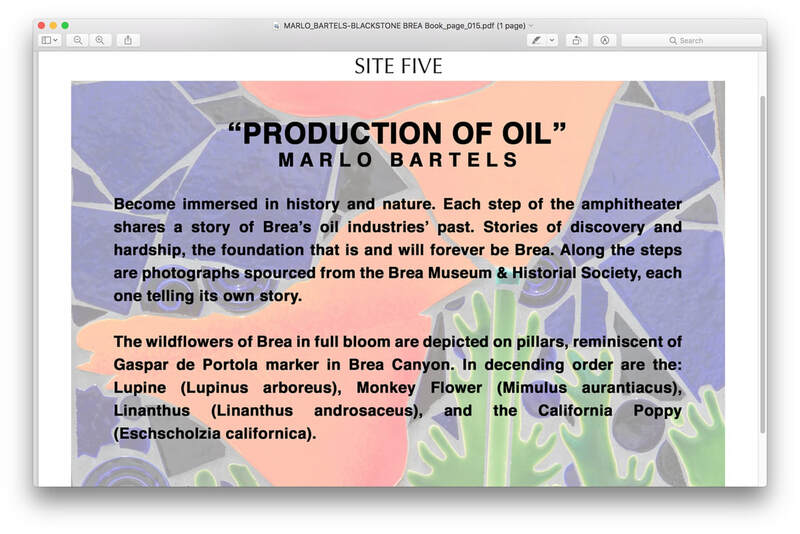 Stokesbary introduced Bartels to various approaches to making ceramics. 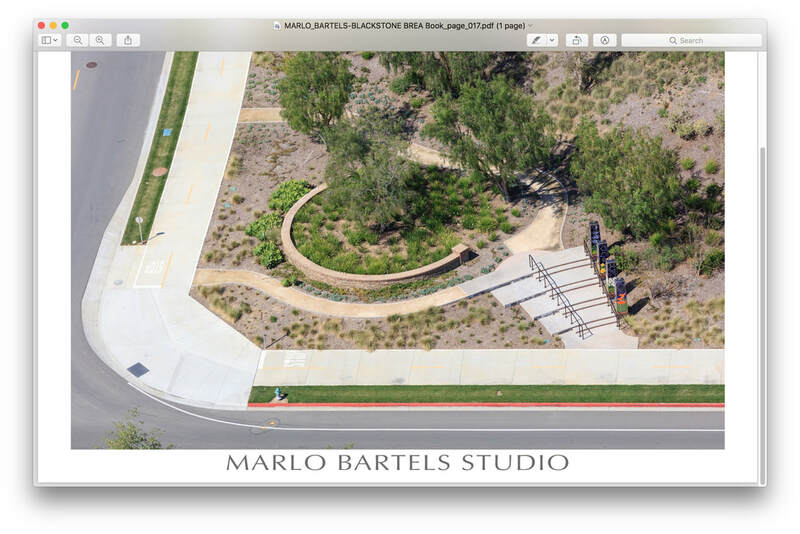 Eventually the two ended up sharing a studio while Bartels followed him several years later into teaching at the Art Institute of Southern California in Laguna Beach. 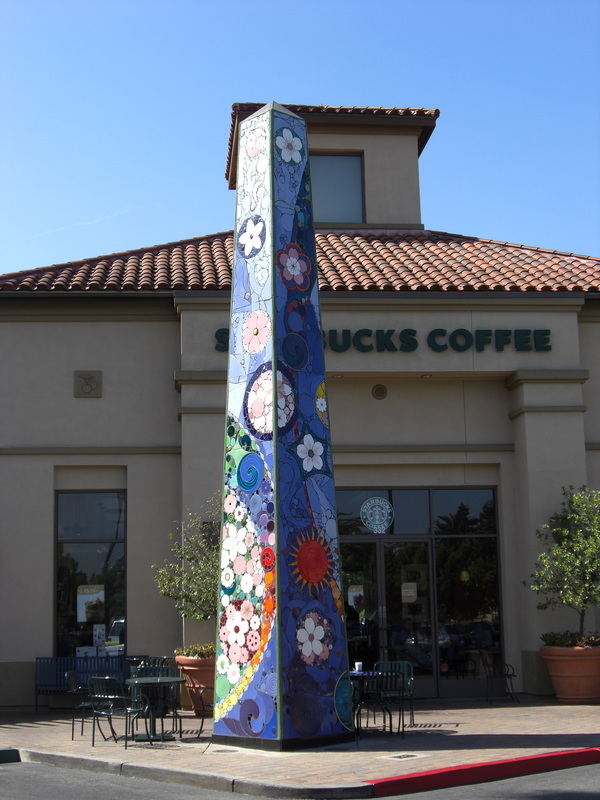 Stokesbary encouraged him to be more experimental with the ceramics medium and provided him with an example of how the artistic and beach life styles could be blended. 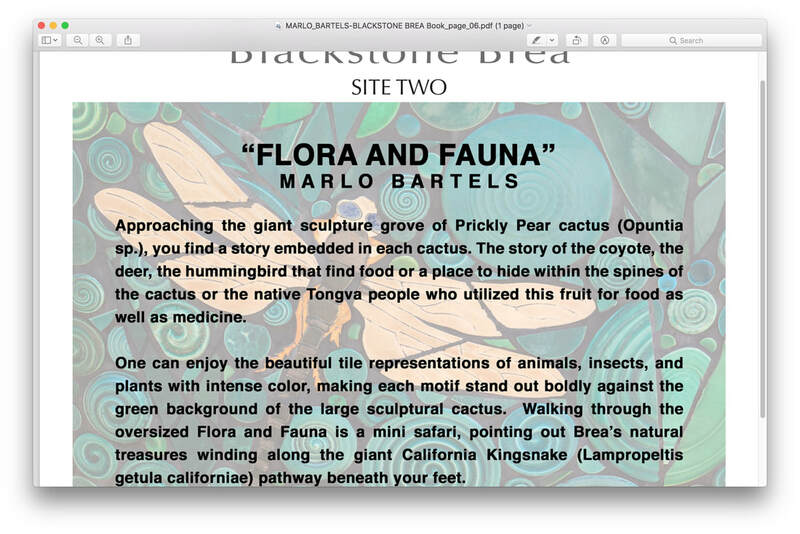 It was after seeing the Gladding McBean murals around the old factory building in Los Angeles, that Bartels work began to take its definitive form. 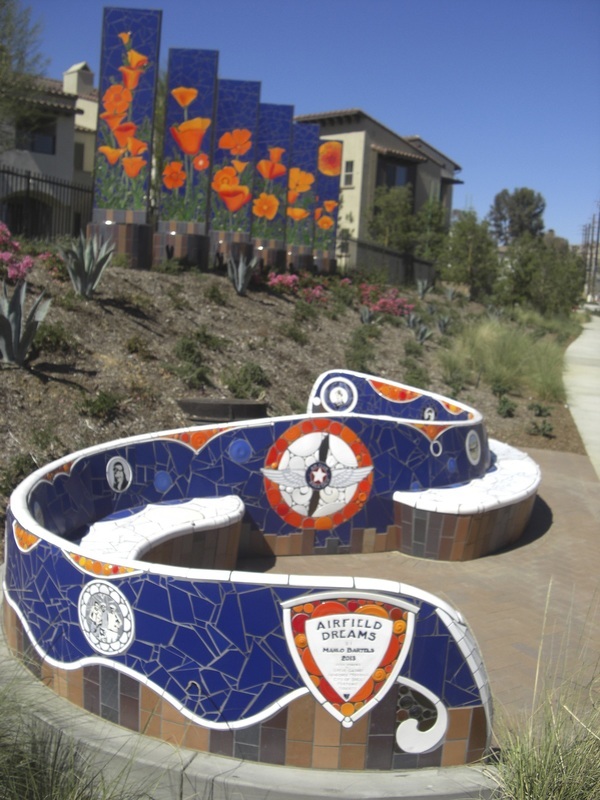 He then became interested in architectural tile work and began to investigate the plethora of old ceramics factories that had been popular in California in the 1920's. 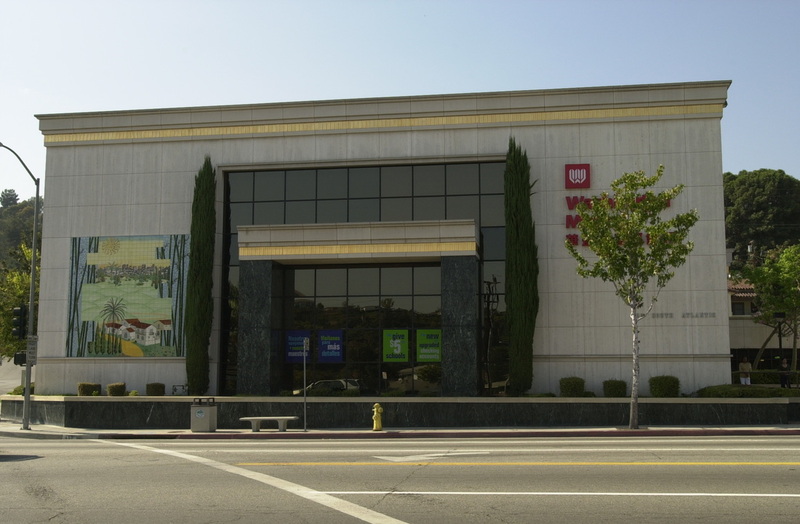 At the time, very little information existed on the history of California ceramics and so Bartels wrote and received a National Endowment for the Arts grant to research the field. Subsequently, he became an expert in the area and was deeply affected by what he discovered. 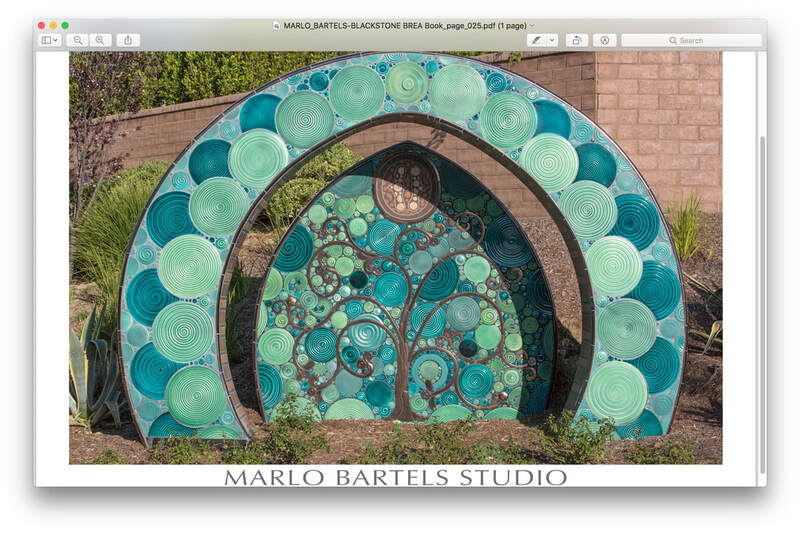 Seeing the extraordinary tile‑work on buildings by such forgotten California artists as Ernest Batchelder, Frederick Hurren Rhead, Alexander W. Robertson, and James and Gertrude Wall inspired Bartels to approach his art with the spirit of the early 20th‑century California arts and crafts movement, which harkened back to a pre‑industrial past. 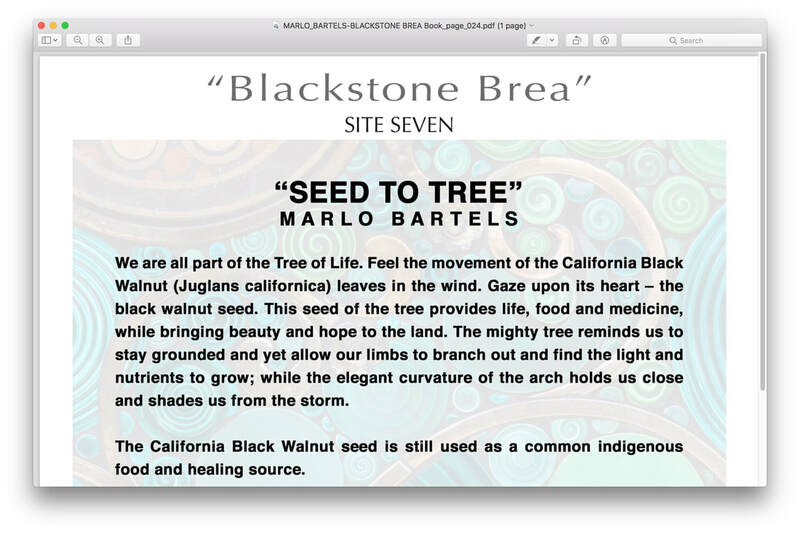 (That system of thought proposed that art and life are organically linked to nature and place) Arts and craft artists made objects that expressed that connectlon. 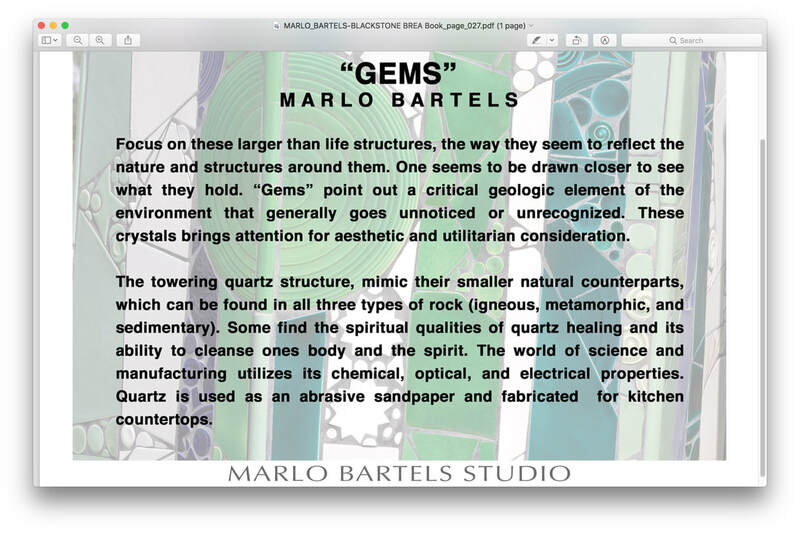 In a sense, Bartels' work refers to both pre‑industrial and post‑industrial eras. His primary ingredient‑‑baked earth or terra f cotta‑‑the most basic of building materials, refers back to a time before machines. But his terra cotta also references a future where the discarded wastes of a society too reliant on mechanization are tilled back into objects, objects that better express the humanness from which they came.